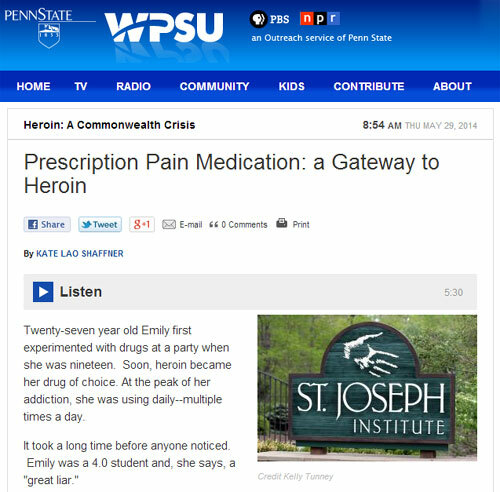 WPSU radio station wanted to discuss the increased use of heroin and the inherent dangers. One of our graduates joined me for the interview and made a great contribution. Emily was celebrating her third anniversary of sobriety and we are so proud of her. She is proof that heroin can be beaten and life in recovery can be good! Click here to read more of our blog posts concerning heroin and other opiates.